It may appear far from the glitz of the awards ceremony, but an integral component of any 50 Best event is the 50BestTalks. And, in the case of the fourth annual edition of the Asia’s 50 Best Bars list, which will be announced in Singapore for the second consecutive year, the panel discussion held the following day (May 10) will look at the challenges and successes of the bar industry in Asia. If anything, it is an opportune platform to shift the conversation from trending flavours and culinary cocktails to larger issues such as inclusiveness in the industry. No surprise then that this year's talks—under the title Female Spirit—will present for the first time an all-female panel of leading talent and thought-leaders who will lead the conversation on key topics such as bar culture and how to encourage positive change in the drinks sector. The four confirmed panellists are Sasha Wijidessa, bar manager-sous bartender at Operation Dagger in Singapore; Victoria Chow, founder of The Woods in Hong Kong; Bannie Kang, head craftsman at Anti:dote in Singapore; and Pinsuda PongProm, head bartender at The Bamboo Bar in Bangkok. “There’s plenty to be heard from these talented bartenders about the current challenges in the sector, how bar culture has evolved, and the changes they see gaining traction in the coming years,” shares William Drew, Group Editor of Asia’s 50 Best Bars. “Their unique experiences in Hong Kong, Bangkok and Singapore across different bar concepts will also shed light on how trends, drinkers’ preferences and drinking culture differ across Asia’s regions,” he continues, affirming that across the 50 Best brands, “we aim to provide a platform for greater inclusivity and an opportunity for greater discovery and diversity”. “Bartending is about passion, creativity and positive attitude, regardless of gender,” Kang asserts. “Female bartenders are no less qualified and do not lack artistry in creating delicious, strong drinks; I’m proud of what I do,” she adds before affirming that, regardless, “a little encouragement goes a long way”. Still, the early struggles for many were real. "They were mostly operational—lugging heavy crates of lager and handling Boston shakers simultaneously to craft more than one drink at a time," shares Sophia Kang of Manhattan at Regent Singapore. These, she explains, were easily overcome with a fair a bit of training. She did, nonetheless notice in her earlier years how male guests would take female bartenders less seriously. "When given a choice, they’d always subtly gravitate toward having a male bartender prepare their drink," she tells, but pointed out that are certainly advantages to having a female bartender, as they tend to be "more communicative". "We also have tidier housekeeping skills," she says with a little laugh. Will Manhattan be crowned Asia's best bar for the third year in a row? 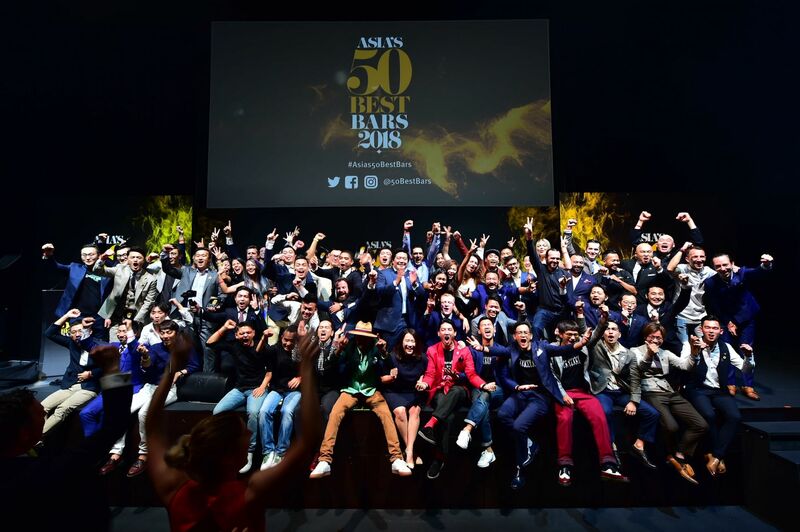 The 2019 Asia’s 50 Best Bars list will be announced on May 9 at Capitol Theatre, kicking off a three-year partnership between the 50 Best organisation and Singapore Tourism Board. Many will no doubt be excited to see if Manhattan will retain the top spot on the list for the third year running, but the event, which joined the 50 Best brand in 2016, as an extension of The World’s 50 Best Bars list that was launched in 2009, is largely seen as a way of celebrating a thriving community of professionals and leading trends as it spotlights the region’s best drink destinations. Top bars and bartenders will also be vying for a range of honours, including The Campari One To Watch, which recognises a bar that is not on the list, but considered a rising star in the region; The Altos Bartenders’ Bartender, as voted for by the bartenders from the establishments in the 2019 list; and The Ketel One Sustainable Bar Award, which spotlights the bar on the list with the highest sustainability rating, as determined by audit partner The Sustainable Restaurant Association. To be sure, the public will have much to raise their glasses to, as the event marks the start of this year’s edition of the Singapore Cocktail Festival (SGCF), which returns for a fifth instalment from May 10 to 18; early bird tickets (until February 28) to the Festival Village at the Empress Lawn are already on sale. The festival’s exciting line-up includes the annual Barstylez International Bartender Championship, as well as bar tours and bar takeovers happening across the island. An all-new component is the SGCF Bar Academy, where members of the bar community can engage in an exchange of knowledge and discussion about leading topics on cocktail culture.